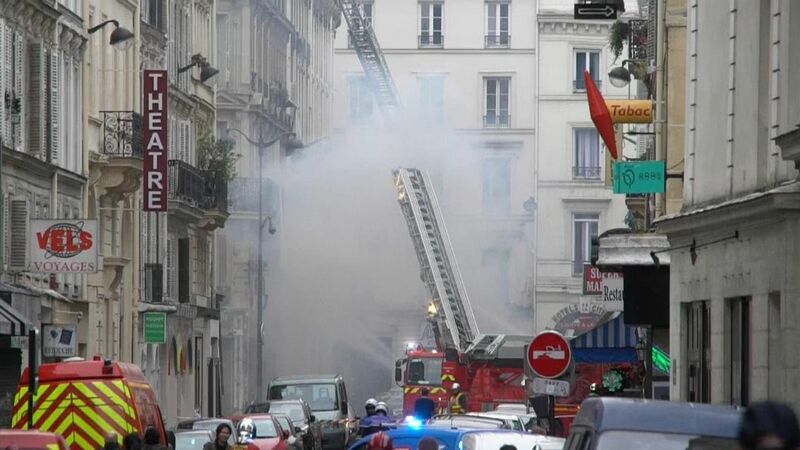 Firefighters are tackling a blaze in Paris following a powerful explosion. Firemen and police officers work at the site of an explosion in a bakery shop in the 9th District in Paris, France, January 12, 2019. Police advised the public to stay away from the area, on Rue de Trevise in the 9th arrondissement of the French capital, and to make space for emergency vehicles. Emergency services have arrived at the scene. As per initial reports, the intensity of the blast has damaged several buildings and many casualties and injuries are being feared. Photos shared on social media show the windows blown out of the building with rubble strewn across the street.